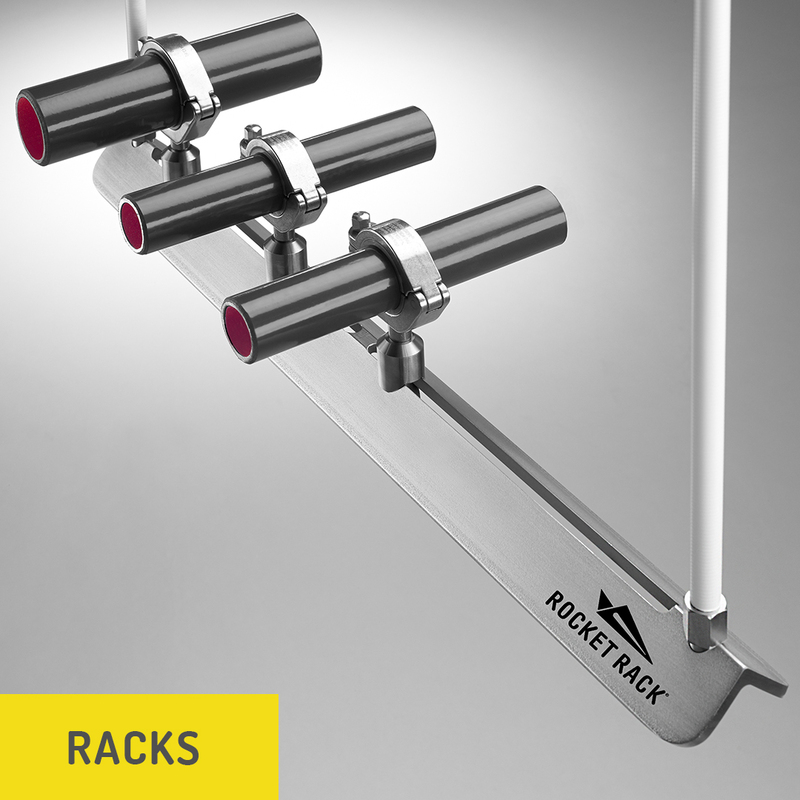 ROCKET RACK® is a pre-fabricated Sanitary Support System for Conduit & Process Piping. 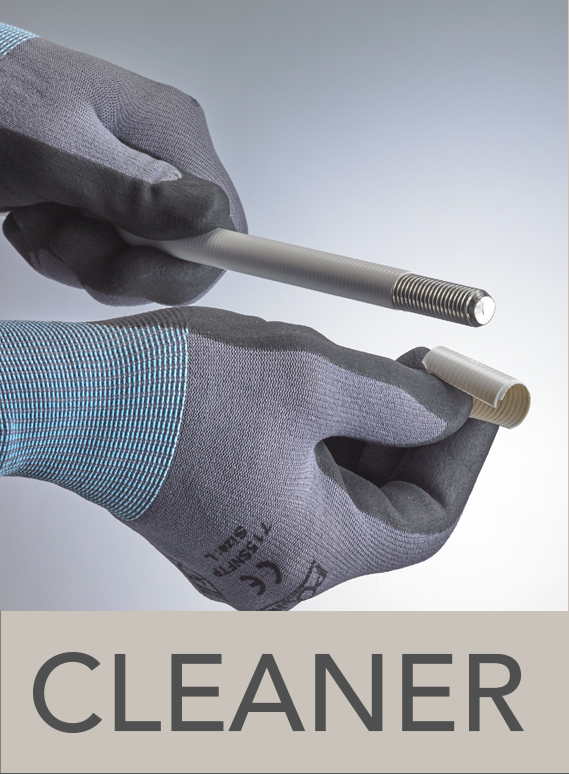 It is specially designed for use in Food & Beverage Manufacturing Plants, Pharmaceutical Plants, Wastewater Treatment Plants, Consumer Goods Manufacturing Plants, Cosmetics Manufacturing Plants—any project where sanitary installation is required. 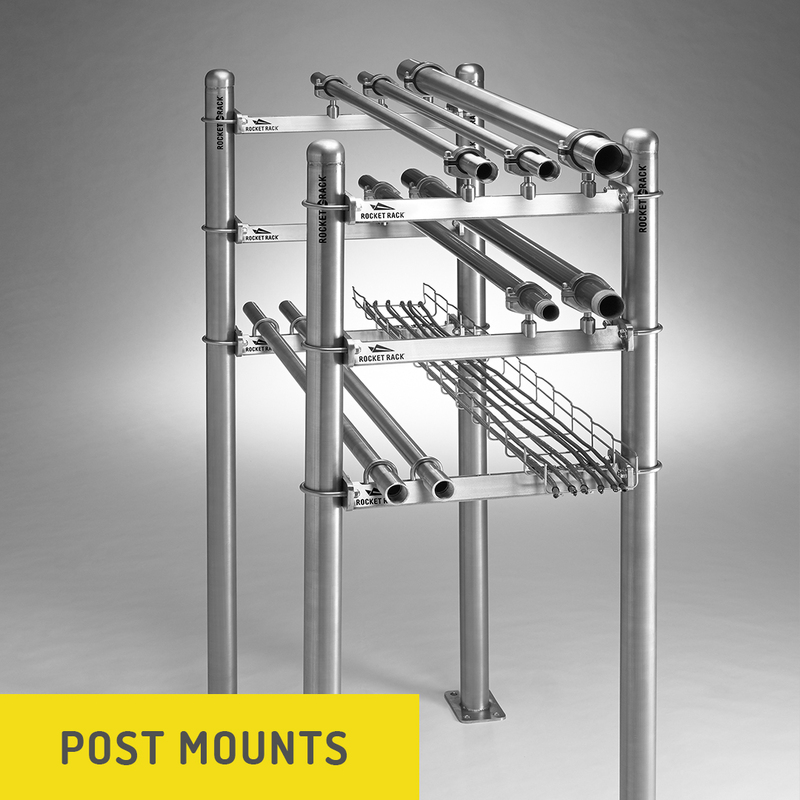 Made from ¼” thick material, our support racks are engineered to withstand heavy loads. 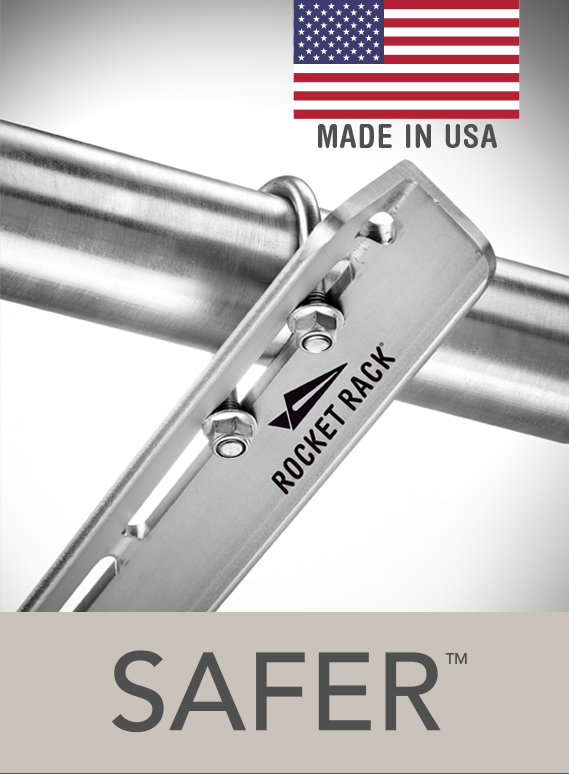 The ROCKET RACK SYSTEM complies with standards set forth in the Food Safety Modernization Act (FSMA). 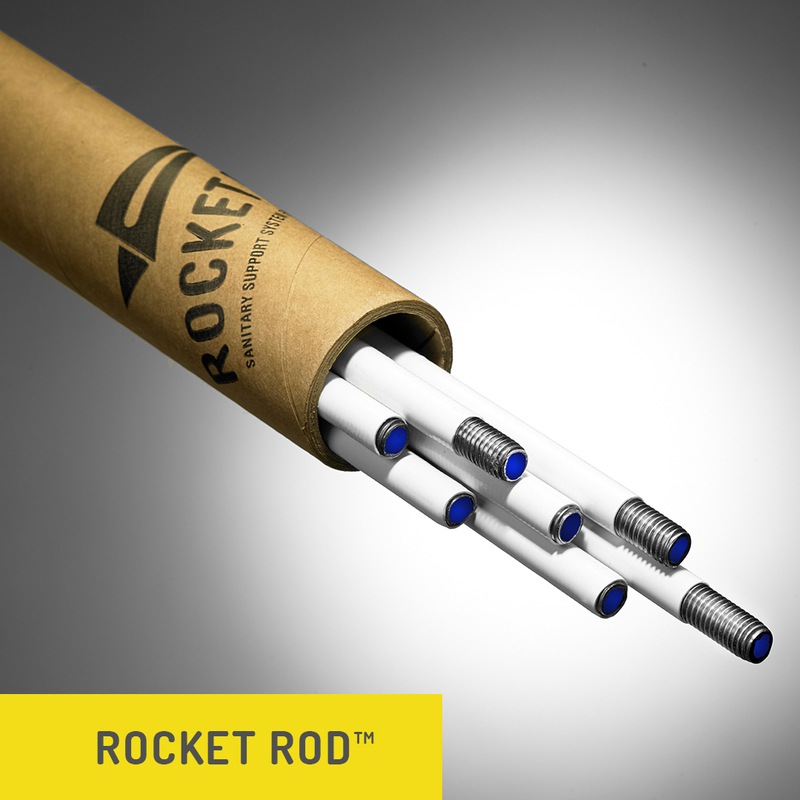 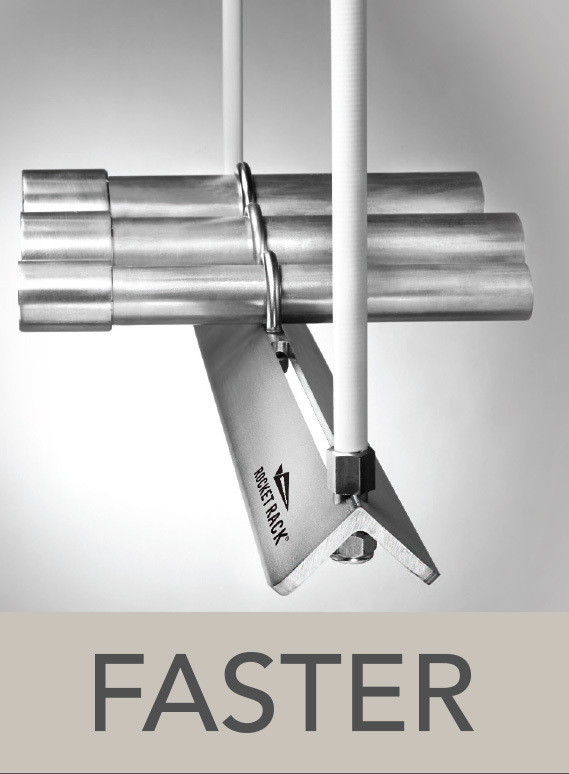 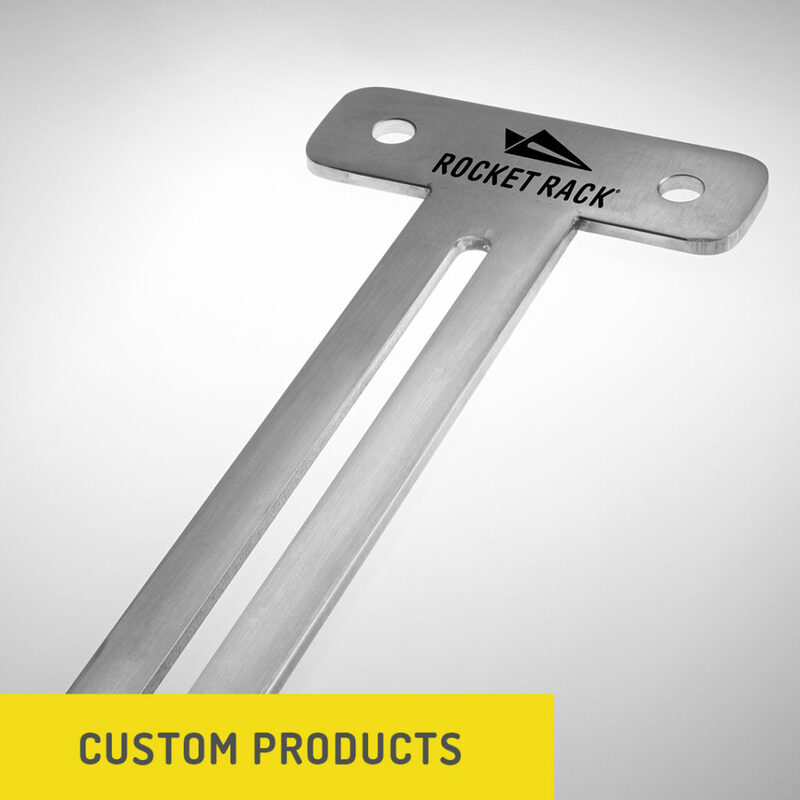 The ROCKET RACK’S patented slot design allows for lines to be added in the future quickly and easily. 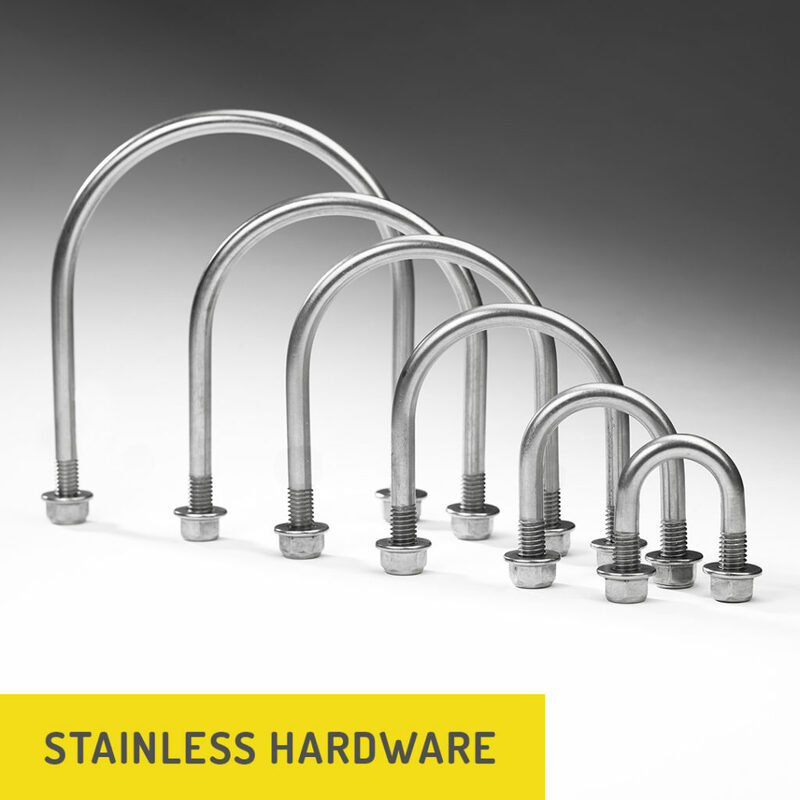 The slot also permits fine adjustments, assuring a perfectly-straight conduit or pipe run. 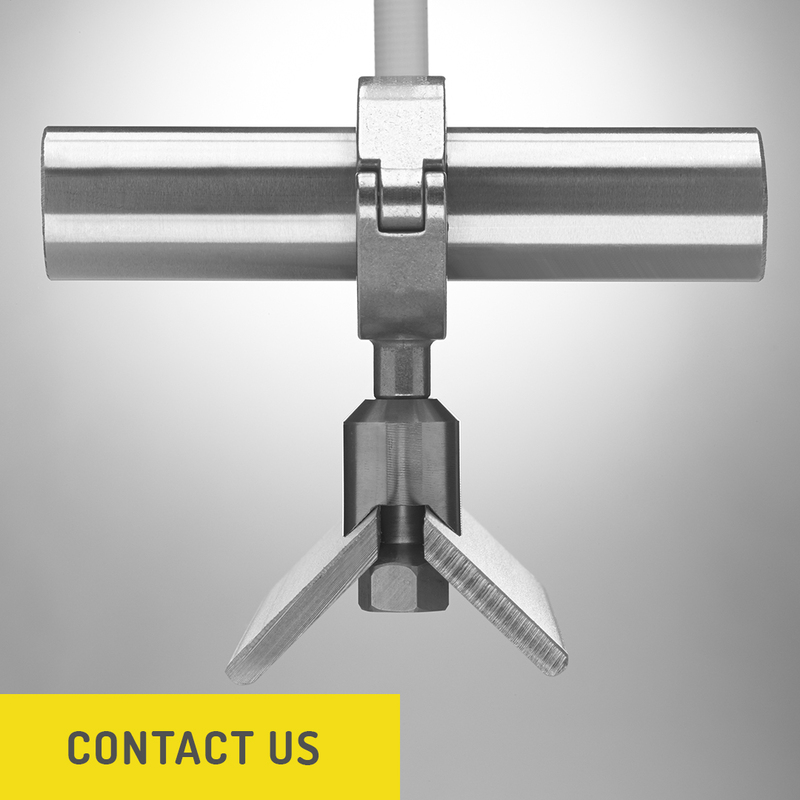 Sleek lines, radius corners and a buffed finish create a beautiful installation, suitable even for high-end residential or commercial projects featuring an open ceiling design.